Have all the fun of a photo booth at a fraction of the cost! 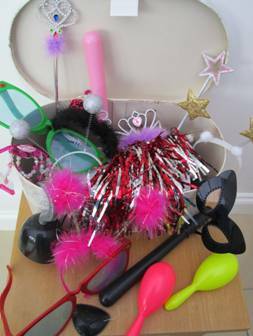 The Props Box is great fun for both adults and children. If you are looking for something a little different to the traditional wedding photos then this is for you. Take a look at our Candy Cart too. HWH reminds clients children should never be left unattended with these items.